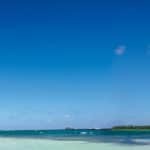 Margarita Island, or Isla de Margarita, is a Caribbean paradise that offers many if not all of the attractions and amenities of the surrounding islands, but at a fraction of the price. 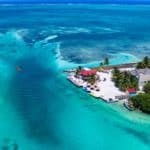 A popular destination for international travelers as well as local Venezuelans, the island is less than 20 miles from the mainland, but more than a hundred miles from Caracas. It lies in a relatively isolated patch of the clear blue Caribbean sea and can seem like an unlikely destination. But Margarita Island can be just as easy to get to as any other island in the area–maybe even easier, since there are so many different ways to do it. Margarita Island is split into two sections linked by an 11 mile spit of sand. Most of the island’s 400,000 residents occupy the more developed eastern half, especially the bustling city of Porlamar and adjoining Pampatar. Others are found in the much smaller city of La Asunción, the capital of the region that also encompasses the neighboring islands of Coche and Cubagua. The urban sprawl around the island’s largest town, Porlamar, is the favored haunt of holidaying Venezuelans and is full of glitzy shops, huge hotels and beach bars. 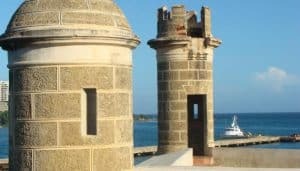 By far the best bits of the island are to be found elsewhere – the beach towns of El Yaque and Juangriego, the inland mountains and the largely untouched Península de Macanao are the real highlights of any visit here. To learn more about all the beautiful beaches on the island of Margarita, visit here. Now view our Margarita Island travel guide to help plan your next Margarita vacation! On the island of Margarita, which is a few miles off the north coast of Venezuela, the climate is tropical, hot and muggy all year round. The dry season runs from late February to may, and the rainy season runs from June to mid-February. The maximum temperatures are almost always above 86 °F, and the minimum is almost always above 68 °F. The temperatures are slightly lower from December to February, and higher in the two warmest periods, April thru May and September to October. This is due to the passages of the sun at its zenith, when the temperature can reach 93/95 °F. The wind blows throughout the year, tempering the heat, in the form of northeast trade winds in winter, and in the form of southeast trade winds in summer. Margarita is located in the extreme southern limit of the trajectory of the hurricanes, which means that it is very rarely affected; however, the hurricane season runs from June to November, and the highest probability is between August and October. The best time to go to Isla Margarita runs from late February to late May, being the driest, during which it almost never rains. Even during the rainy season, sunny days are actually more predominate, however, sometimes strong thunderstorms can break out. 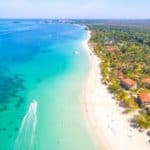 If you plan to visit the island from November to mid-February, you will prefer the western part, the Macanao Peninsula, or the western part of Paraguachoa. You must have a valid U.S. passport in good condition, with at least six months of validity remaining from the date of arrival in Venezuela, and a valid Venezuelan visa. Visas are not available upon arrival. You can check the website of the Embassy of Venezuela in the United States for the most current information about visa application requirements and procedures. Immigration officials often require proof of accommodation while in Venezuela, adequate means to support yourself, and an onward departure itinerary. Only use official crossing points when entering Venezuela. You must obtain an entry stamp to prove you entered the country legally. The Island can be reached by air or by sea. You can find flights to Margarita from many major European cities or from several US and Canadian cities: Toronto, Montréal, Miami, and New York. If you are leaving from Venezuela to get to the Island, you can take one of a couple dozen flights a day. The Ferry is still considered to be the Island’s main link to the mainland of Venezuela. The primary ferry station can be found at Punta de Piedras, on the southern end of Margarita. The two primary ferry departure points from the mainland to the Island are La Guaira (30 minutes from Caracas, on the coast), and Puerto La Cruz and Cumaná (a few hours east of Caracas, on the northern coast). You can take a bus at almost any time of day to get to the ferry terminals from Caracas. It takes about 5 hours from Caracas to Puerto La Cruz ($4-$7), and 7 to 8 hours to Cumaná ($3-$6). It is sometimes cheaper and more convenient to get around the island by taxi, rather than renting a car. The official carriers have white cars with a yellow plate, and they can be easily recognized. There are taxi companies in every shopping center on the island such as Sambil and Rattan Plaza. Every taxi company has a fixed fare which can be found on the table stuck to the rear window. It is advisable you to take a taxi once the sun has gone down as it is not advisable to walk around at night, and it may even be dangerous. Despite belonging to the public transport system, buses are private property. This is the reason why they are so personalized and painted different colors. There are bus stops everywhere, but the drivers stop almost every time someone shouts “en la parada por favor” or “por aqui”. Therefore, it is perfectly possible that the ride from Porlamar to Playa El Agua might last two hours instead of the 20 minutes it takes by car. You can also stop the bus and get on it by raising your hand from the street. Remember to pay the driver with the exact amount of money. Most buses leave from Plaza Bolivar in the center of Porlamar and head towards Playa El Agua, the airport, Punta de Piedras, and Juan Griego. You always need to ask where the stops are, as the locations often change. The car rental offices are located close to the parking lot, and in front of the main exit gate of Santiago Marino International Airport. The price of the cheapest car is about $20. In order to rent a car, you need to be at least 18 years old, have a valid driving license, passport or valid ID, and a credit card. Every car is insured, and you will have to leave a deposit that will be reimbursed once you return the car. Crowning the hill just north of town is the Fortín de la Galera. These days little remains of the colonial fort (destroyed by the Spanish royalist army in 1817) other than some stone walls with a terrace and a refreshment stand, but it sees a steady trail of couples arriving in the late afternoon for a sweeping view of the sunset. La Galera’s Fort is in the historic town of Juan Griego; Built in 1811, its main function was to protect the city and its inhabitants. La Restinga lagoon was declared a National Park in 1974, and is made up of water canals and mangroves that naturally protect a characteristic flora and fauna of these habitats. Here you will find many birds, sea stars and oysters by the thousands nested in the roots of the mangroves that are protected by a strip of sand or coral sandbar through over 27 kilometers that today makes up La Restinga beach. 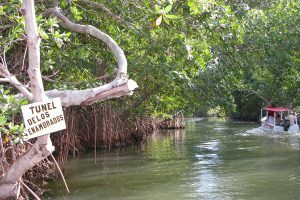 Visitors can take a boat ride through mangrove channels. Make sure to ask to see the starfish, as well as the oysters that are close to the mangroves. 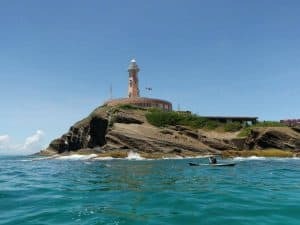 The Punta Ballena Lighthouse is an essential of the Margarita Island given that the experience that visitors will live when climbing the steps to the top of The Punta Ballena lighthouse. You can enjoy the beautiful scenery with a 360 degrees view of the Salinas and the Bay of Pampatar to Guarame. Feel the wind with a flavor of sea surrounded by beautiful birds circulating around the eight balconies. The San Carlos de Borromeo Castle was built in 1622 with a typical military architecture of the time under the orders of the Spanish Crown to protect the port and the customs of Pampatar from privateers and pirates, as well as to prohibit the passage of any vessel to Pampatar Bay, played a role in the independence history of Venezuela and the island region. 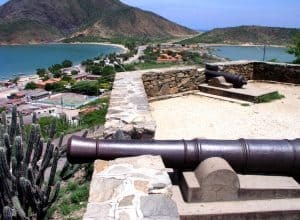 It is also notable because it served as a prison of Heroin Luisa Caceres de Arismendi in 1816 after being imprisoned in the Santa Rosa Castle for her transfer to the prison in La Guaira. he Santa Rosa Castle was built in 1682 by order of the field master Don Juan Fermin de Huidrobo, in order to protect themselves from attacks by pirates, after the landing of 500 French pirates who plundered and outraged the city of La Asuncion in 1677. Life´s Beach Tours has the pleasure to offer quality service in jeep tours. The Company is a pioneer in off road tours, offering the best full day adventure with top-rate service and guidance. 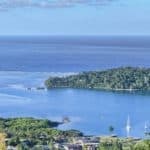 All tours include open bar of domestic drinks, (rum, beer, tropical cocktails, soft drinks and mineral water), fees to National Parks, boat ride at Restinga Lagoon and lunch with the choice of: chicken, meat or fish, salad, rice, fruits and coffee. 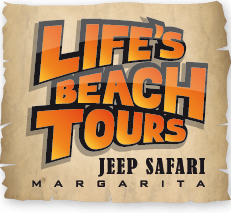 For more information call 58-0414-792-3072, or visit them on the web at Life’s Beach Tours. Scuba Diving Margarita provides snorkeling and diving Excursions around Isla Margarita: Los Frailes Islands, El Farallon, Cubagua Island and the Bay of Pampatar. They provide daily dive excursions – full day or half day, professional equipment rental and retail service, intensive dive education for beginners or advanced divers. For more information call 58-0416-896-9040, or visit them on the web at Scuba Diving Margarita. Segway Venezuela is a unique and fun experience. Tours and trips tailored for those looking for an exciting way to discover a tourist destination Margarita, relax, take and send photos/videos, admire landscapes and colonial routes, talking through hands-free communication system, and interact as you navigating on two wheels through our secure and various short and long routes around the island. 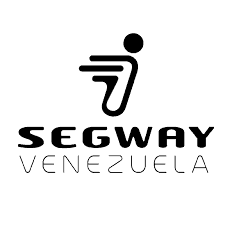 For more information call 58- 029-541-7939, or visit them on the web at Segway Venezuela. Are you looking for ideal kite surfing conditions and a unique Caribbean atmosphere? Then this is the place to be for you. Always windy, warm water, cocktails, music, lovely people …No matter if you are beginner or advanced. You will find the right training here. 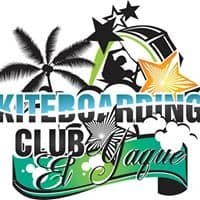 For more information call 58-295-263-9961, or visit them on the web at Kite Boarding Club El Yaque. Walter’s Tours offers Margarita Island tours that include a boat ride through the Lagoon of La Restinga’s mangroves and canals. Another boat tour offered is aboard Miami Vice’s authentic boat, the “Aronow 47.” This is the actual boat used in the Miami Vice television series and it is now docked at Margarita Island and available for private tours. 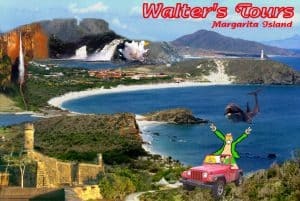 All of Walter’s Tours include lunch and beverages such as soft drinks, water, beer and rum. For more information call, or visit them on the web at Walter’s Tours. Serving first-class sea food, if you desire a dining experience with vivacious views of the beach, El Rancho De Pablo is one restaurant you won’t regret choosing. Bathed in an air of elegance, it is one of the most recommended eateries in the area. Seafood here is seasoned with the most amazing spices deemed imaginable and served aesthetically, this is where taste meets beauty. Apart from the sinfully irresistible meals, guests enjoy impeccable service that makes eating here an immensely pleasant experience. For more information call 58-295-263-1121, or find more information on TripAdvisor at El Rancho De Pablo. Located in the accessible neighborhood of Aldonza Manrique, Dolphin is one of the most sought-after eateries in Porlamar priding itself on a happy and contended clientele. Dolphin serves Italian cuisines and the repertoire of offerings on its menu is known to impress even the most discerning of foodies. The serving sizes are sufficient and the bar with the wide array of beverages is at its glamorous best. The service is cordial and ‘excellent’ is the only word you will be chanting once you eat here. For more information call 58-295-262-3755, or visit them on TripAdvisor at Dolphin. La Casa de Rubén is a margarita tradition restaurant that you can not miss if you visit Margarita Island. For over 25 years they have been talking about the quality of this traditional food restaurant on the island where the famous cake of Chucho is born, known throughout the country thanks to its creator Rubén Santiago, the present owner and founder of this restaurant. For more information call 58-295-264-5969, or visit them on TripAdvisor at La Casa de Ruben. With a capacity for 45 people opened the Gaia Trattoria on Margarita Island, where the visitor can perfectly translate to the gourmet world of Italian with succulent traditional concepts and Mediterranean food that meets your expectations. From wooden tables to a Greek style, they also have a terrace where the customer can visualize their surroundings while they consume their orders and can take some drinks. A warm atmosphere and comfort offer the owners of this place. For more information call 58-295-266-1831 or visit them on TripAdvisor at Gaia Trattoria. The Fondeadero restaurant offers its guests a varied menu of fresh sea food in a roofed environment with a beautiful view of the sea and the Castle of San Carlos de Borromeo. The place has enough tables to receive at least 100 visitors who wish to try their excellent dishes. For more information call 58-295-267-0351, or visit them on Facebook at Fondeadero. Join them on Margarita Island in the Venezuelan Minor Antilles for unforgettable music and a rock star dining experience. Explore music history with the incredible collection of memorabilia lining their walls while sitting down to eat our Legendary® Burgers and hear some of music’s great living legends. 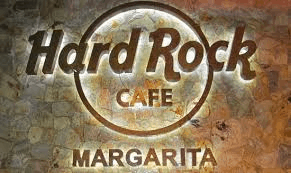 For more information call, or visit them on the web at Hard Rock Café Margarita. Nice party bar with a discotheque. 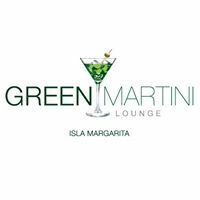 For more information call 58-295-935-0110, or visit them on TripAdvisor at Green Martini Lounge Margarita. If you want to enjoy a night full of magic and taste the best of Mediterranean and Caribbean food you have to live the experience of this nightclub and restaurant located on the shores of the Caribbean Sea in Porlamar. The nightclub and restaurant “Bora Bora” renovation to keep abreast of the most recognized nightlife in the world. For more information call, or visit them on the web at BoraBora Margarita. Great atmosphere, great outdoor terrace, and fun place for parties. 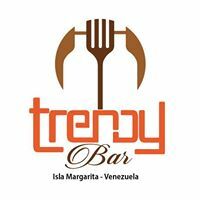 For more information call 58-412-795-4040, or visit them on Facebook at Trendy Bar. Featuring an outdoor pool, Beach View Palace is located in Porlamar. El Yaque is 10 miles from the property. Free private parking is available on site. Beach View Palace also includes a year-round outdoor pool. For more information, pricing, or to reserve your room, visit Beach View Palace. This property is a 4-minute walk from the beach. Aparatmento Marabierto is a self-catering accommodation located in Pampatar, just a 5-minute walk away from the beach. At Aparatmento Marabierto you will find a terrace, while a variety of restaurants are available within a 5-minute walk. Other facilities like meeting facilities are offered. The property offers free parking. For more information, pricing, or to reserve your room, visit Apartamento Marabierto. This property is 1 minute walk from the beach. Offering an outdoor pool and a beautiful beachfront location, Hesperia Playa El Agua is located in El Agua, within Margarita Island. Free WiFi access is available. Guests staying at Hesperia can enjoy a wide array of dishes in the property’s restaurants, offering both a la carte and buffet options. There is also a nightclub, as well as a common lounge and a games room. For more information, pricing, or to reserve your room, visit Hesperia Playa El Agua. This property is 2 minutes walk from the beach. Offering an outdoor swimming pool and a restaurant, Hesperia Edén Club is located in El Agua. Free WiFi access is available. At Hesperia Edén Club you will find a tennis court and a fitness centre. Other facilities offered at the property include entertainment staff, a nightclub and luggage storage. The property offers free parking. For more information, pricing, or to reserve your room, visit Hesperia Eden Club. Located in Paraguachi, this detached villa features a garden with a year-round outdoor pool. The property features views of the sea and is 16 miles from El Yaque. Free private parking is available on site. Breakfast and dinner is included. For more information, pricing, or to reserve your room, visit Villa Arimacoa. Not sure if you remember me, but I was the one who grew up sailing the world on a sailboat with my parents. We hit Margarita Island twice, once as a traveler and the other riding out a tropical storm in a hurricane hole so didn’t really enjoy the trip as much. I do have to say, besides Saint Kitts, Margarita Island takes second place with their powder blonde-white sand. I miss this life which is why I love visiting your site, makes me feel like I am back there. Have you done any of the French Polynesian or BVI’s? I love those two chains, especially Tortola or Virgin Gorda, I have real soft spots for them. Just a shame what Irma did to them, my prayers are with the locals. Great Site, keep up the great work and I will digitally travel with you next time! Thank you so much Jair. Digitally travel…I like that term! If we can’t be there, we can be digitally 🙂 No, I have not been to any of the French Polynesia or the BVI’s but I am planning a trip for early next year. I am so excited. Just trying to pinpoint which spot. But coming from Florida, the options are somewhat less expensive than for others, thankfully. Thanks for visiting Margarita Island Travel. P.S. I would love to see information on Virgin Gorda. This is a great island that I didn’t see in your reviews. Consider writing about them. Amazing island! I will do Jair. I actually have not heard of Virgin Gorda, but I plan on getting information and working on it. Can I get any information from you if necessary, since you have been there? Thanks! I’m ready for a vacation to Margarita Island! I have been looking for a great Caribbean Vacation, and this seems like the perfect place to me. I am glad that I do not need a Visa, and only a passport. I am wondering why they require it to be valid for 6 months after departure? I guess that is the first thing I need to work on, getting my passport renewed. Then I am ready to start planning! Thanks for all the great information! I love your site. You really make it hard to pick one destination to visit! Great! Thanks for reading Margarita Island Travel. I am glad I could help you decide on a Caribbean destination. Yes, there are so many wonderful islands to choose from for sure. You will love it. Please let me know if you need an additional information, as I would be glad to help! This site is definitely for me as I only ever travel to where there are Beach Bars and warm weather. I’m an Aussie guy who has been to Bali and all of south-east Asia. I just crave the pleasures these places offer and I do it 6 times every years. But hey, I’m looking for some more sand to tread and some more barrels to conquer.What’s the surf like on Margarita, is there any swell for ‘Lefties with a passion ’cause if there is, I’m in! Your website took me on a trip, really lovely. It also reminded me of the cruise I made in 2011. I turned 60 in 2010 so I gave myself this cruise as a present. In 1973 I worked 3 months on a Greek cruise and in 1978 I worked 7 months on a Russian one. That is why I wanted to see it from a different perspective, as a passenger. 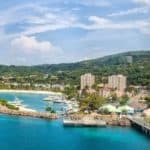 I did a Carribean cruise of 14 days, visiting 8 islands. On St. Lucia I had a beautiful day at the beach.Sadly, some of the islands I visited were badly hit by Irma. 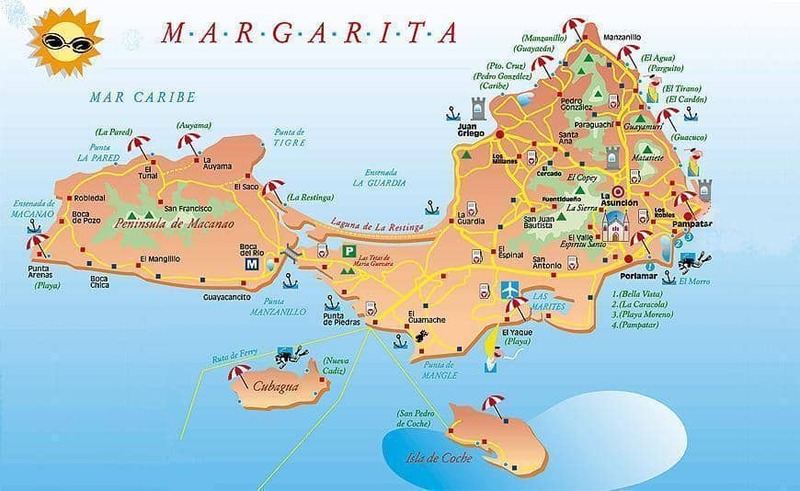 The island of Margarita I have not seen yet but by what you tell about this island it is well worth visiting. Thank you for all the useful tips, I think I will tell my better half that I have found a great holiday place I would like to go to. Great and I do believe you will love it on Margarita Island. 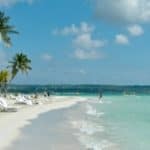 I am glad you enjoyed visiting my site, BeachTravelDestinations.com. Thank you for your reply to my comment. I love traveling. Visiting new countries, meeting new people, seeing sites and eating unusual foods. It broadens your horizon and makes you realize that we are blessed to live in this beautiful world. Well done! Margarita Island looks like a wonderful place to vacation. 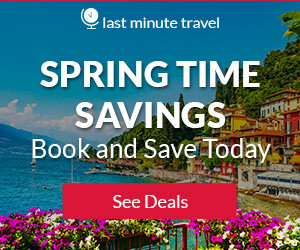 My wife and I are always looking for new places to visit and you provide some great information about the attractions and the best times to visit. We have two kids and was wondering if the atmosphere is good for families. Of course you will find areas where the family will have a great time. Its a Caribbean atmosphere, which is a laid back, fun, relaxing type of vacation. If the kids enjoy the outdoors, the beach, making sand castles, seeing the wildlife, then yes they will have a ball. My kids enjoy it very much. So, I guess it just depends on what they like to do 🙂 Thanks for reading about Margarita Island Travel. Good looking out on this fabulous sounding island. A few questions: 1. Just to confirm is it it’s own country? or is it in Venezuela? Or is it a territory like Puerto Rico? 2. You mentioned being out at night is not a good idea, I get that – but compared to other carribean islands would you say it’s pretty safe? How does it compare to Bermuda which seems safe or Jamaica which I hear can be dicey? Finally, besides the ferry, can people cruise to margarita island? Are there any cruises out of miami? Thanks! Great questions Kristin! Margarita Island (Isla de Margarita is part of Venezuela. As far as safety goes, it is comparable to the other islands of the Caribbean. I think that if everyone just uses some common sense, and is alert, then it is like anywhere. So, yes pretty safe. You can take a ferry out of Miami, or even a charter. I do not know of any cruise out of Miami that goes directly to Margarita Island. Thanks for reading about Margarita Island Travel. Wow, I just bookmarked your website! All work and no play make life a grind. I am not a typical holiday person who is always looking out for the next vacation destination. But if I were, I think Margarita Island would be a very nice choice for me and my family to get away from the hustle and bustle of urban living. Thanks for making the review so comprehensive and I will bear in mind to avoid the Aug to Oct period. 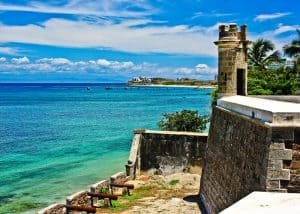 I am so glad you enjoyed visiting beachtraveldestinations.com. You will enjoy Margarita Island. It is really more than just a beach destination, that your family would remember for a very long time. It would definitely take you away from the hustle and bustle of city life! Margarita islands look amazing! This is undoubtedly a place that I would put on my bucket list for my next sailing trip! My husband, my two children and I have decided to rent a Catamaran in Venezuela, and it would be a fantastic idea to sail to Margarita islands. I think the best time for us to navigate there would be after the hurricane seasons. November will be perfect:). Do you have any suggestion on what to wear in Margarita Island? I don’t know the culture there, and what type of dress code restaurants have. You are lucky that Margarita Island is outside of the hurricane belt, so you would not have to worry about that. I have always worn beachy, yet hippy (that is what people tell me it looks like) free flowing light weight, and light colored clothes. I usually take at least 3 bikinis with me, just so I can have different choices lol. Sailing from Venezuela to Margarita Island is a fantastic idea! You and your family will have a wonderful time for sure! The name of the island caught my attention. I bet my wife would like us to try out this place, especially since we haven’t been to the Venezuela and she hasn’t been the caribbean. What I was hoping to see in your post was something for a ‘family’. We have two small kids – Would you recommend for or recommend against bringing kids here? We’re not really looking for a ton of activities for the kids. We’re hoping our next vacation could be something simple with just margarita’s to drink. But we’d like our kids to come with us. I always take my kids. They have always loved the beach….I must rub off on them. My youngest loves to surf and is a surf instructor, so they stay busy playing on the beach, in the water etc. I think the outdoors playtime at the beach is great for kids, and you most certainly can take them. You would all love Margarita Island. Margarita has an interesting history. I have not been able to get the details about the island until now. Visiting the lagoon and the castles are the activities that interested me more. The beaches of the island are very popular so I would love to visit those too. I am looking forward to visiting Margarita and all it has to offer. Looks like the best way to get there is to take the ferry from Venezuela? Yes, I think that the best way to get to Margarita Island is the ferry. It is fairly inexpensive and less complicated than flying there, in my opinion. Thanks for reading the Margarita Island Travel guide. I am glad I could help you learn a little bit more about this wonderful island. This review of Margarita island is what I call exotic. I know of Venezuela, but had not known about Margarita Island. We have been wanting to go to Venezuela, but this island seems a lot more tempting! …..and inviting. You have provided me everything I need to plan our trip and make informed decisions on everything we want to do and see. I am hooked and I want to go there now 🙂 I love visiting your site, you have such in-depth and great information. Makes it hard to decide on a winter getaway. I consider all of the Caribbean islands to be somewhat exotic. I guess living in the states makes me think that way. Yet, some of them can be just as economical for a vacation getaway as going to a destination right here is the U.S. If you need help Maurice planning your next getaway, please let me know. I would be glad to help you plan it and find you the best deals.